The Hunger Games by Suzanne Collins is coming to theatres on March 23. The popularity of this book amongst teens and adults intrigued me. Is it better than Twilight? It is better than Harry Potter? Those that know me, know that I have never been a huge fan of the Harry Potter books. They are ok, but the first 2 books, are terribly written–even for children’s books. However, like all good writers, J. K. Rowling, does grow as writer as the books progress. Folks just don’t seem to remember the series humble beginnings. The Hunger Games had a couple things going against it for me. One, due to its popularity, I was wary. I have tried to read other popular kids books, and I have been very disappointed. Twilight is beyond terrible. Harry Potter could be better. Luckily, The Hunger Games is better written than those two (at least the early parts of the HP series). 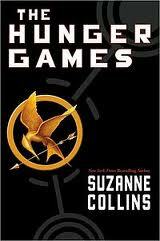 The Hunger Games deals with very adult subject matter–killing. My main concern with this novel was whether Collins would deal with the emotional impact of killing a fellow human being. She does not. When Katniss makes here first kill (via bow), although in the heat of the moment, the emotional impact she feels is none. It is no different to her from killing a squirrel. This is a big problem with the book. Killing a fellow human being, regardless of your ability to hunt will impact you emotionally. Collins never deals with this. She deals with the loss of a friend, but never in the act of killing herself. This is a major issue with the novel. But, regardless of this piece missing, the books was still enjoyable. The other issue I had with this novel is the trite, and quite forced, love-triangle that is in it. There really is no room in this situation for a love triangle, yet she forces one into it. In the end, it becomes the crux of revolution I know, but in The Hunger Games is does not fit. The story should have been just Katniss and her need to survive, not this lingering love issue. The other issue I had is Collins sets up the situation where 2 kids from each district are forced to play in the games. At the end of the games, only one can win. I felt it was going to be interesting to see how she dealt with Katniss having to kill a fellow friend/distrticter. A situation she set-up herself. Sadly, just does not deal with it. She makes it go away. Shockingly, in a Hunger Games first, this time around there will be 2 winners of the Hunger Games. The declartion in the middle of the novel, really ruined that confict for me. In the end, the Capital revokes that new rule, and forces them to kill each other. But like before, Collins just weasles her way out of it, but having them pull a Romeo and Juliet move–we will kill ourselves before killing each other. She does provide a reason for the team-up (one has a crush on the other), but the novel would have been far more compelling if these two had to deal with each other as prey and friends through the book. This dual survival is the crux of revolution in the later books I know, but this feels lazy. Did I like it? From above it would seem no. I did, but only because it was quick and short. If this had been a 400 page novel, it would have easily lost steam with the way it was written. The Hunger Games was a decent read. Will I read Catching Fire? I am not sure yet. This entry was posted in Reading and tagged reading, suzanne collins, ya. Bookmark the permalink. I enjoyed the first book, but I thought the rest of the series was pretty -bleh-. Given your reaction to the first one I couldn’t bother with the rest of the series. With the thought of taking life, I think the key aspect you missed, was these kids are raised in a society that murder (whether in the games or by Peacekeepers) is a regular occurrence. Given that the Capital thinks nothing of the killing of anyone from these districts, and these kids have grown up watching other kids even their friends killing each other. So the thought of “dealing” with taking a life, can indeed be nullified… With that said, I actually do wish “dealing” with the kill was included, as it would have been interesting to see/read (movie). But as mentioned above, it didn’t really seem necessary given the life of these people. I agree that murder is more common, and they see it and may be “dulled” to it, but seeing it done, and doing it are different things all together.